Please note that the Town Council Office and the Tourist Information Centre with be closed from 3pm on Friday 22nd December 2017 and will re open at 10am on Tuesday 2nd January 2018. It is with the deepest sadness that we inform you of the death of Karen Featherstone. Karen worked for the Council for many years as both Public Hall Manager and in the Tourist Information Centre. We will remember her many years of service with gratitude and affection. She will be missed by us all. **UPDATE** WE NOW BELIEVE THAT THE SHELTER WAS DAMAGE SOMETIME ON SATURDAY 9TH DECEMBER 2017 OR THAT NIGHT. Please note that a sealed bid has been received for the lease of a small shop/office in Market Arcade, Appleby. Anyone else wishing to submit a sealed bid should do so by 12 noon on Friday 22nd December 2017. 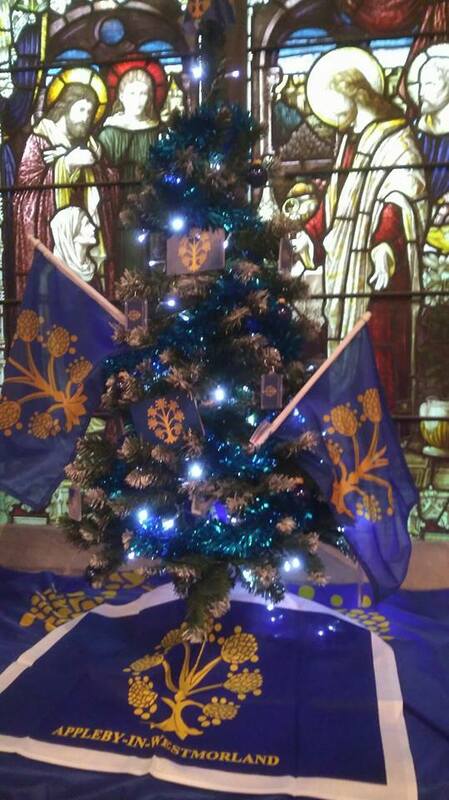 Town Flag Christmas tree delivered to St Lawrence’s Church for the Christmas Tree & Crib Festival open Friday 8th 11 til 4 and Saturday 9th 10 til 4. Please visit and vote for you favorite. Raising money for the church renewal fund. 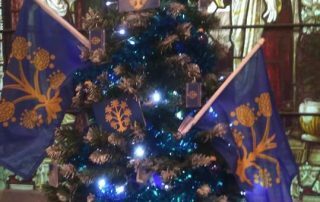 Appleby Town Carol Service will be held at St Lawrence’s Church, Appleby-in-Westmorland on Sunday 17th December 2017 at 6.30pm. Everyone welcome. Ideal for start up business……..